The love of a producer for the territory is demonstrated not only by the respect and the meticulous care with which he treats his products, but also by the adhesion to traditions both regarding the material one like the cultivation of vineyards and cellar work and the simple memory of a word that is no longer used but that is desired to be passed on to posterity. 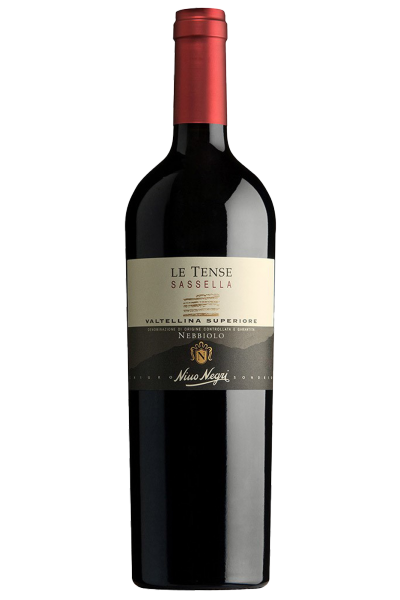 The Sassella Le Tense derives from Nebbiolo Chiavennasca grapes in purity, coming from the most popular subarea of Valtellina Superiore, whose name comes from the church of Sassella, located at the foot of the impervious, sunny homonymic promontory. Tense means protected, in order to remember that in 1600 the vineyards were preserved and controlled by guards, so as to preserve the precious grapes. Dark garnet in color, it releases intense and warm notes of berry jam, cardamom, vanilla and coffee. A considerable complexity on the palate fresh and balanced, with refined tannins and a smoked final. With roasted and braised red meats, game and aged cheeses.